Here's Why The Suspension Of Beaconhouse And City School's Registration Is A Blessing! 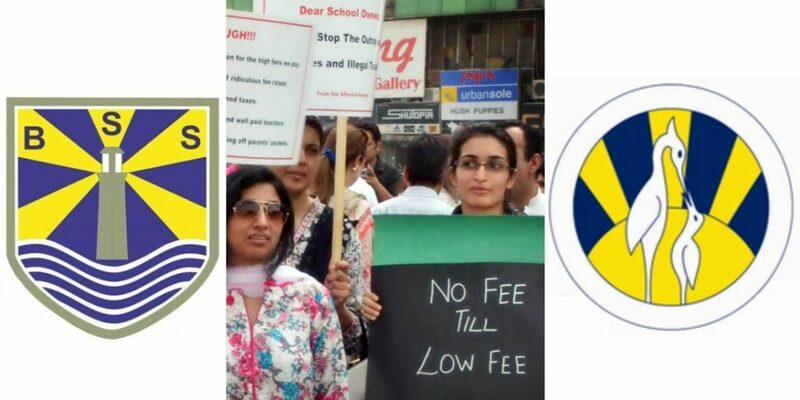 Here’s Why The Suspension Of Beaconhouse And City School’s Registration Is A Blessing! “In education alone rests the fate of the Muslims of the sub-continent,” these lines said by the scholar Sir Syed Ahmed Khan make more sense than ever today. Almost 150 years later, the case still remains the same. Today, Pakistan, a country particularly set up for Muslims, faces the same trouble they did a century ago. The lack of education and facilities has forced us to remain a third world country in the day of rapid globalization. In our country, education is the biggest part of a child’s life, which doesn’t seem to end ever. Even after we become parents with children, we remain linked like a hand in glove with education. The facilities, institutes, level of teaching run by the government can not be compared to that being offered by private parties. The biggest names in the private sector of education, Beaconhouse School System and The City School have given us some huge names that have gone and done wonders for the country. Thus, realistically, ever parents want their child to study in these schools. 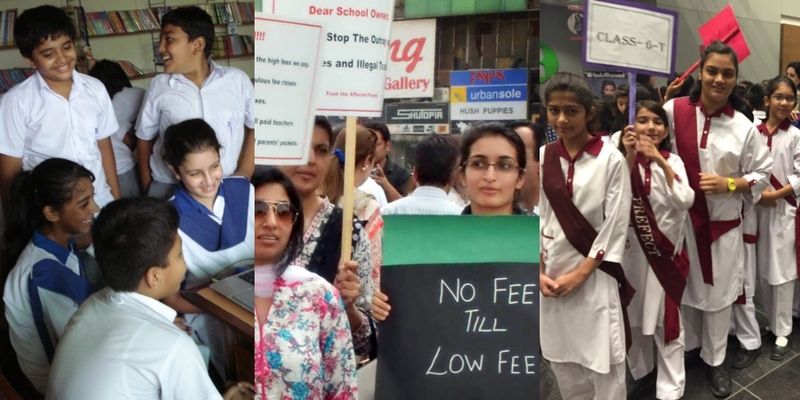 The only flaw that makes their dream impossible is the mammoth fee structure of these schools. Parents have to pay tens of thousands of rupees monthly for primary education, all this, minus the huge amounts they pay for admission or other ‘extra-curricular’ activities. However, the financial injections don’t stop here. 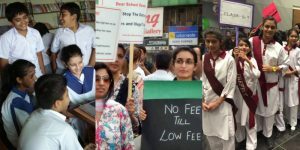 Annually, these schools then increase their fee structure, with a hike, that does not meet the standards set by the government and the Supreme Court. 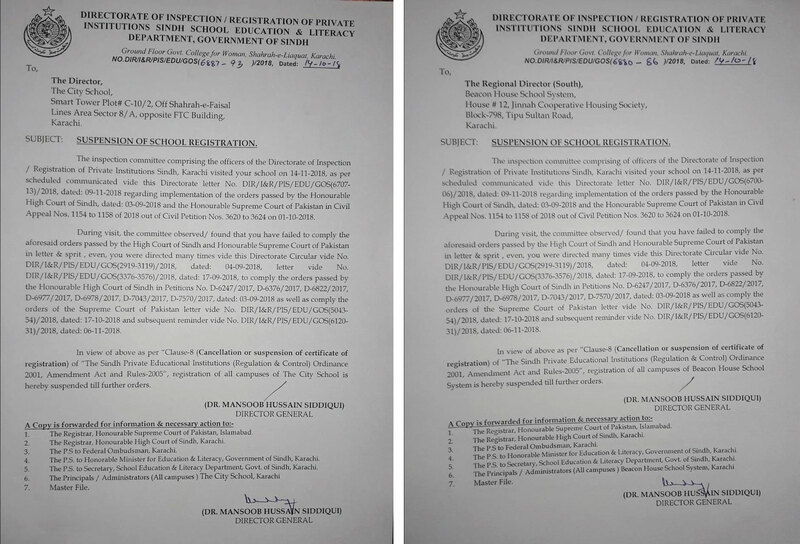 Thus, as of recent, the Sindh Government has decided to suspend the registration of both schools in the province. After many warnings, the government decided to take this strict route of action, as the particular schools had not complied with the Supreme Courts’ orders. 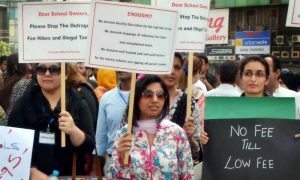 The schools had been raising the fees 12-15% annually, which for the parents, is an unprecedented nightmare. Many sources on the media and internet have been scaring students who study in these schools for this incident to come as ‘bad news’, but in reality, it is nothing but a blessing in disguise. Parents with their hard earned money should not be blackmailed by schools to pay the desired amount of money or ‘take their child out of the school’. Such check and balance and harsh measures are the necessity of time and the authorities are doing a fine job at it. Even though The City School and Beaconhouse stand firm on their stance and plan to challenge the decision, it is up to students to support the move, rather than side with their schools. 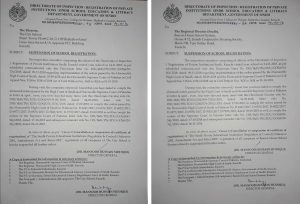 If these orders are not complied with within 7 days, the government will cancel the licenses of both schools in Sindh.